I came up with The Sisterhood Of The Traveling Palette posts, as a way to collaborate with some of the ladies I love and admire in the beauty community. By Mrs. Bellyhead's request, first in the series is Addiction's Ready To Wear Eye Palette in Departure 05. Please checkout the ever amazing Bellyhead's install of the traveling Palette series at Wondegondigo. 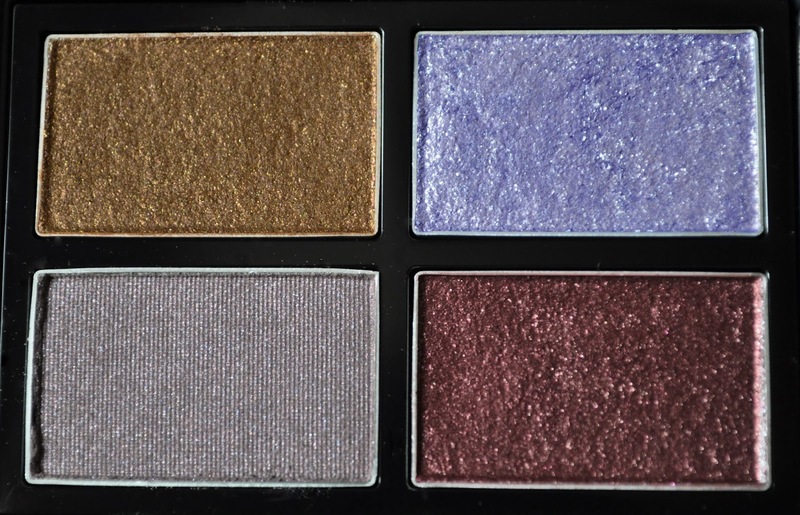 Addiction Ready To Wear Eye palette in Departure. 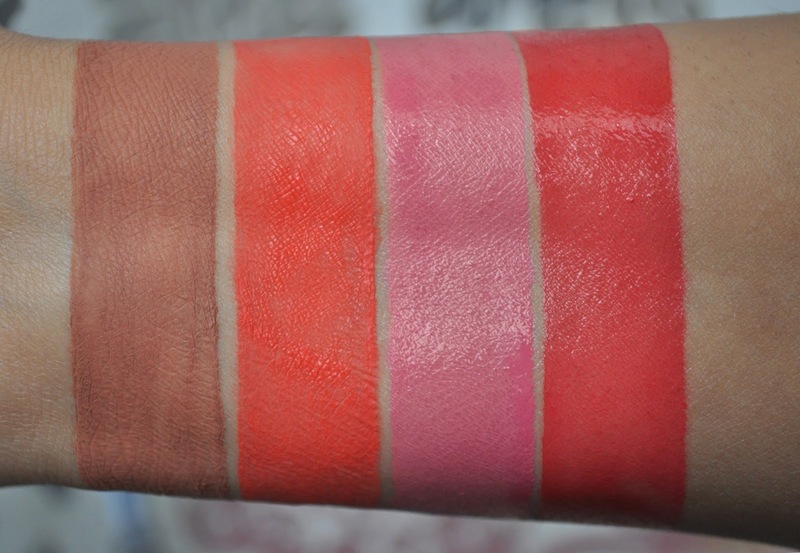 From left to right: Lip Stain sheer dress 01, Lip Stain Garland 002, Cheek Polish Swingin' 02, Revenge 04. Laura Mercier Translucent Loose Setting Power. Addiction Cheek Polish in Swingin' 02. Browlash EX Water Strong W Eyebrow (post coming soon). Laura Mercier Secret Brightening Powder #1. Mac Pro Longwear Paint Pot in Utterly Becoming (used to prime the lids). The taupe-gray satin shade (applied sheer on the lid, concentrating the color in the crease. also blended along the lower lashline). The shimmery periwinkle shade (patted over the center on the lid and center of the lower lashline). Super Quick Liquid Eyeliner EX in Black. Helena Rubinstein Lash Queen Blacks WP in 01 Scandalous Black. 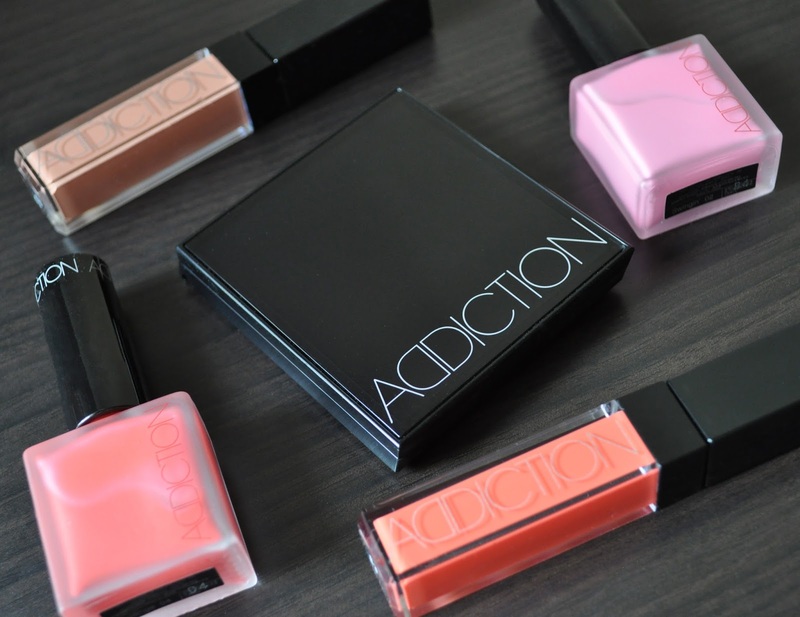 Addiction Lip Stain in Sheer Dress 001. Addiction Cheek Polish in Revenge 04. 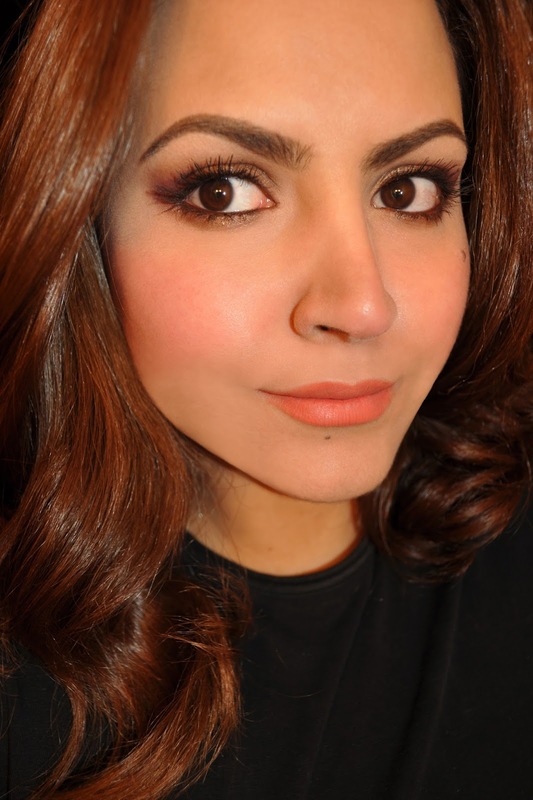 The Bronzed-brown shade (applied on the lid and blended along the lower lashline). The taupe-gray satin shade (in the crease). 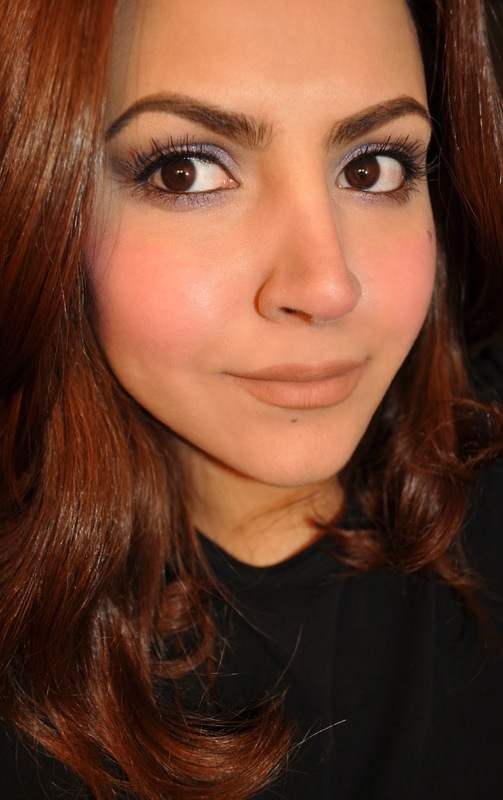 The Bronzed-brown shade (blended into the crease, applied over the taupe-gray satin shadow). The Bordeaux-plum shade in the outer crease and lower lashline). Addiction Lip Stain in Garland 002. This was so fun, Liz!! I have to tell you how this series is really just for my benefit, because now I can steal all your placement ideas. :DD Also, can you come over to NY and apply it on me, too??? I know!! Can't wait for the next, what about something from THREE? Steal away love :) But, if you do, post it. I'd love to see how these looks look on you. This is so magnificent! Hilariously, I'm the one who got ^Nicole's travelling Departure :D Thanks for the inspiration. Addiction is a brand worth investing in, but I must warn you, it isn't called addiction for nothing! You completely own this palette! I particularly love your use of the blue lavender colour, giving your first look this magical gleam! Why thank you 38noodles (yummy name) :) The photos really don't do these looks justice, even prettier in person. Aww, I hope you got enough sleep afterwards! Yet another beautiful quad! I absolutely love the pale lavender and taupe shade in it! Love what you did! Hey girl! No I didn't. but that's okay ;) This palette is sheer magic for the lids! Departure has been getting a lot of love lately. Did you use a base? if so, what did you use? Also, what application method did you use? Yes, i used the Tom Ford eye primer... most of the shades showed up well, except the lavender which was just sort of sheer. I use it over 1 of the darker shades and then it's fine, but there was just no way I could have gotten that intensity in your swatches.. :( Btw, how is the new Addiction palette? Hey Linda, sorry for the extremely late response. In guards to the lavender shade, I find that I can get good color payoff using patting motions on the lid. 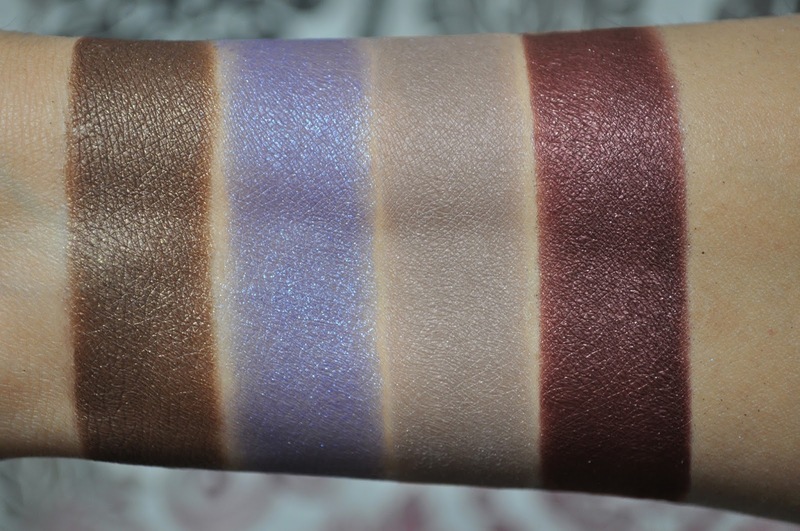 From what I remember of the Addiction Summer palette, three of the four shadows are similar in consistency to the lavender shade in Departure. Garland is a gorgeous shade! I believe I'm wearing two layers of it in these photos. Revenge is BEAUTIFUL, give a lovely Spring/Summer flush on the cheeks.